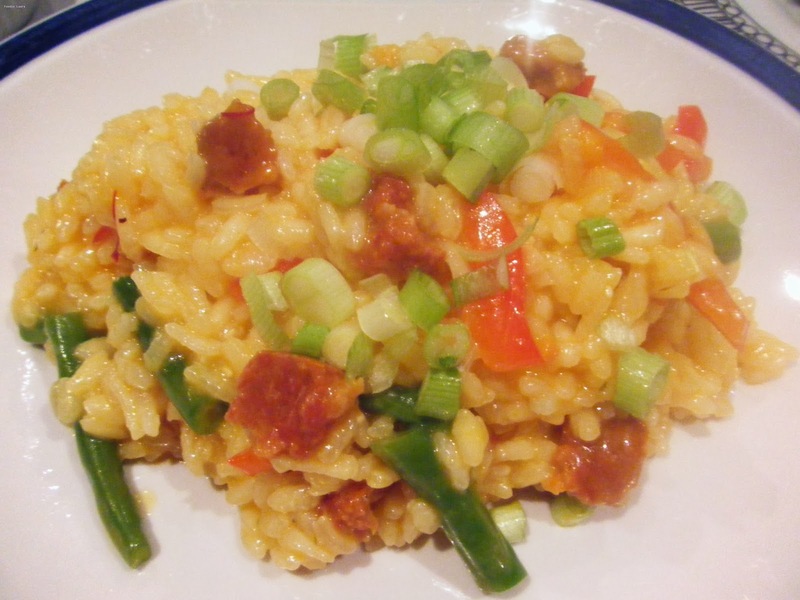 This chorizo risotto is a regular dish at our table, I always use chorizo and a vegetable stock as a base but the rest of the ingredients vary depending on what we have in the fridge. It's a warming dish with plenty of flavour and because it doesn't take too long to make we often have it mid week when our schedules are too busy for complicated dishes. 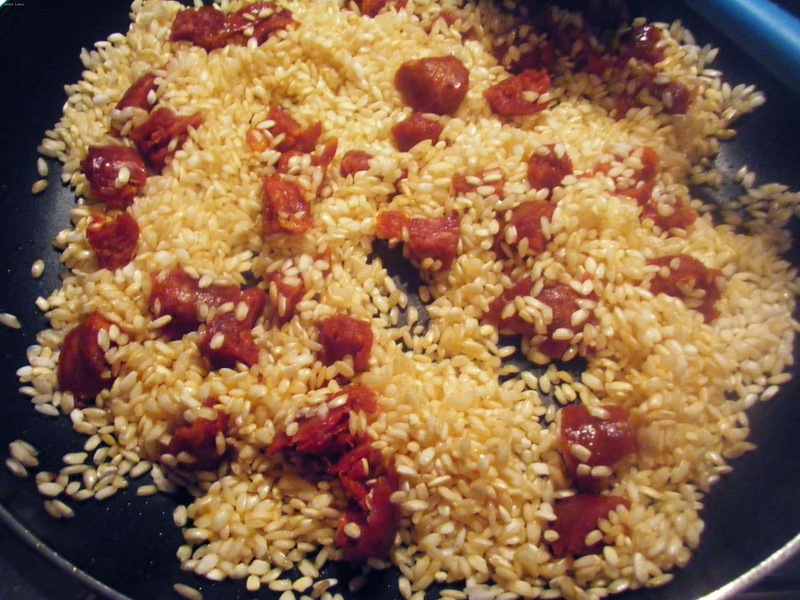 The majority of the flavour in this dish comes from the chorizo it is already packed with paprika and garlic so you don't need to worry too much about seasoning. 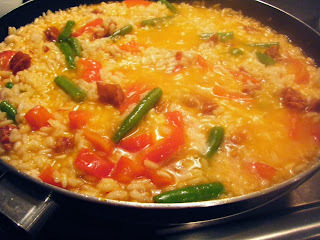 Dice the chorizo and fry it in a frying pan until it releases it's brightly coloured oil. 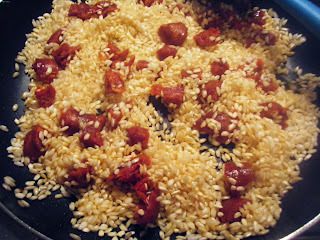 Add the rice to the plan coating every grain the chorizo oil before adding half of the stock. Add the red pepper and green beans. Simmer for 25 minutes over a medium heat while gradually adding the rest of the stock. When the grains of rice are translucent and the stock has been absorbed remove from the heat and stir in the grated gruyere. Garnish with the raw salad onions. 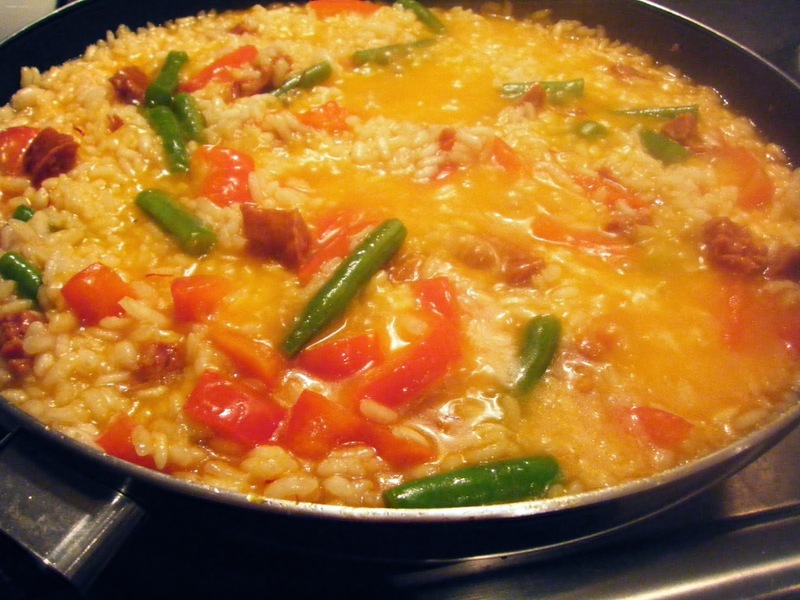 Left overs can be easily reheated the next day with a splash of water to loosen the rice.